The Indian brand has made its renowned position world wide by delivering superb automobile engineered cars. The users of Tata cars have always reviewed this brand with all affirmative comments which indicates the success of this company. Tata owners are the most satisfied consumers compared to others. Consumers feel proud to experience such high technological automobiles and enjoy their every day sojourn with this brand. The product line of Tata motors lines up commercial vehicles, automobiles and automotive parts. Company has successfully gained a respectable position almost in every segment of cars,covering hatchback, sedan and MUV cars. Tata Aria is one such illustration of expertly engineered car in the MUV segment of Tata. Indian market has already experienced the Tata Aria before, but now the excitement gathers for Tata Aria Automatic. Recently company has revealed the automatic version of Tata Aria at the Geneva Motor show. Company s officials have declared a good news for the Indian buyers that this automated version of Aria will be first launched in the Indian market. This new update by Tata seems very promising with one of its flagship, Tata Aria. MUV car has been welcomed by the Indian market and company has observed a significant growth in their sales. Tata Aria Features a more power packed performance with more powerful engine and most importantly the automatic transmission installed in this car. There are few cosmetic changes done to the car making it look more refreshed version. The fact is that Aria is the first amongst the other Tata cars, is the first one to get AT. This upgraded Aria will feature 2.2 litre Dicor engine, a new turbocharger and plugged with engine ECU. This engine has the capacity to generate power ranging from 138bhp to 158bhp and a better torque can be expected. 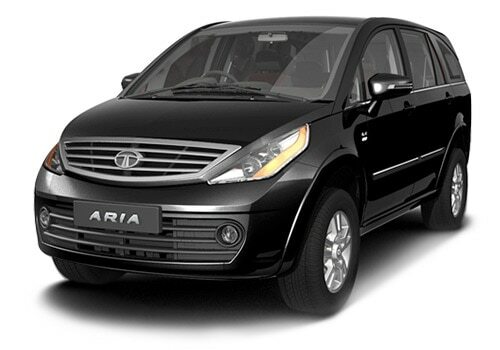 Tata Aria Price has not yet been revealed, but can be expected at high end. Most amazing feature installed in this new Aria is a six speed automatic transmission which is designed to balance out the higher power and torque. There are more awesome features put into this car which has made it reach upmarket. Detailed specifications like double tone paint job, day time running lights, revised tail map, 19 inch alloy wheels, leather seats adding luxury touch and headlamps with black inserts has made this car talk of the town. Tata Aria Pictures a structure of more like a luxury car which seems to give you more comfort while driving. The exteriors of the car seem very attractive.